The R-Kaid-R has a very practical purpose. It's a portable emulator machine with an arcade stick, meaning you can play loads of your favourite classic games the way they were supposed to be played, anywhere you want. Which is all well and good, but whatever. Just look at it. 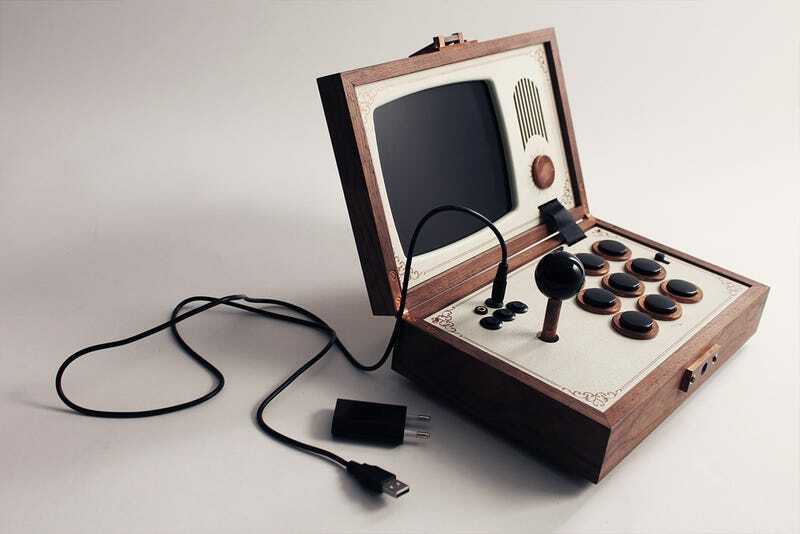 The wooden box, the retro styling on the screen, the craftsmanship and little touches...I'd never play any games because I'd just want to open it up and look at it all day. The comparisons with a work of art don't stop there, though. There's also the price to consider. They're selling for around USD$3400, which is...well, yeah, you could buy every major gaming platform available today and still have change left over from $3400, so this one's only for the idle rich. So maybe "just looking at it" is something we'll all be doing together.